The Ontario Education Advantage: Was Canada’s “Leading School System” a Mirage? Ontario education under McGuinty was certainly among the best resourced systems in the world. 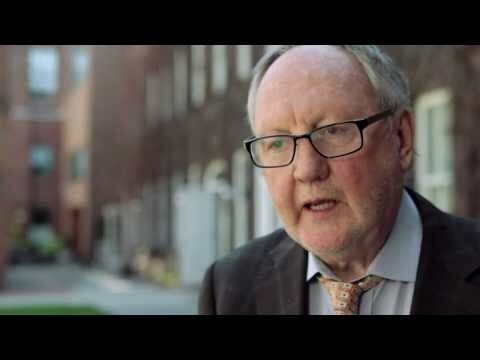 With OISE school change theorists Michael Fullan and Ben Levin championing increased system-wide investment, spending skyrocketed by over 57% from 2003 to 2011 to $22 billion while school enrollment fell by some 6 per cent. Public funding poured in to support a series of Poverty Reduction initiatives, enhanced special program supports, universal full day Kindergarten, and even Parents Reaching Out (PRO) Grants for parent education. The origin, of course, of the now infamous “Best System” claim is the two McKinsey and Company reports (2007 and 2010) purporting to identify and then analyze the success of twenty of the world’s leading education systems. It also echoes the very wording used by the Ontario education reform architect Michael Fullan in a high profile 2012 Atlantic article assessing the success of his own initiatives. Aside from Fullan’s 2010 report forward, there is surprisingly little about Ontario initiatives in the actual report, except for one passing reference to PRO grants. Repeating such claims,referencing the reform advocates themselves,is wearing mighty thin as fresh evidence accumulates that closing the education equality gap does not necessarily translate into improved student achievement. Even more telling, much of the McGuinty era funding-driven “progress” was fueled by increases in spending that are simply unsustainable. Much of Coffield’s critique of McKinsey-style reform applies to Ontario, the Canadian province where Fullan field-tested his school change theories from 2003 to 2013. Centralized reform initiatives, like Fullan’s, he shows, reflect “an impovershed view” of the state of teaching and learning, favouring professionalization over school-level initiatives. Coffield is particularly skeptical about the legitimacy of the whole assessment. Claims of student success by McKinsey and Fullan are problematic because of the “weak evidence base” and suspect claims about “educational leadership” that “outrun the evidence” in the reports. He’s also troubled by the McKinsey-Fullan language which sounds “technocratic and authoritarian.” Cultural and socio-ethnic differences are also “underplayed” in such systems-thinking and there is little or no recognition of the role democratic forces play in the public education domain. One of the few Canadian educators to raise flags about the McKinsey-Fullan ideology was former Peel Catholic Board teacher Stephen Hurley. Writing in March 2011 on the CEA Blog, he expressed concern over the report’s basic assumptions – that teachers come with “low skills” and that centralized approaches are best at fostering professional growth. Two years after McGuinty’s fall from grace, serious questions are being asked about whether the lavish education spending actually produced better results. Staking the claim on rising graduation rates is suspect because, while the graduation rate rose from 68 to 83 per cent, we know that “attainment levels” do not usually reflect higher achievement levels, especially when more objective performance measures, such as student Math scores,stagnated during those years. Upon closer scrutiny, the Mildon and Fournier commentary is not about protecting student achievement gains at all. Defending current time-consuming evaluation practices, smaller class sizes, preparation time, banking of sick days, ready access to sub teachers, and current curriculum approaches sounds far more like a teacher-driven agenda for Ontario schools. Wrapping Ontario education in that “world leading school system” banner, does not have the appeal or resonance it once had now that parents and the public have a better read on the actual results of that rather high-cost reform agenda. What did the Dalton McGuinty Education Reform agenda actually achieve in terms of improving student progress and achievement? Where are the independent assessments of McGuinty education reforms supported by serious professionally validated research? Will the Education Reform global “success” story turn out to be essentially a carefully constructed, nicely-packaged mirage?